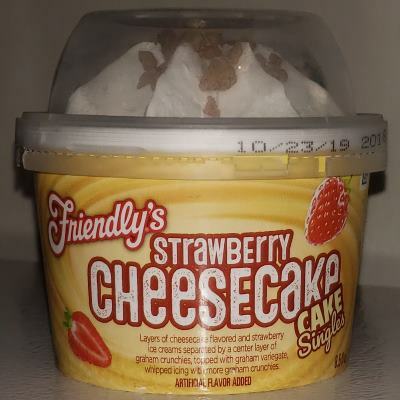 [New for 2019] Of the four "new" Friendly's cake singles, this is the only one that's truly a fresh flavor that's not a rehash of an earlier sundae to go flavor. No cheesecake isn't at the top of my priority list, but I do adore graham! 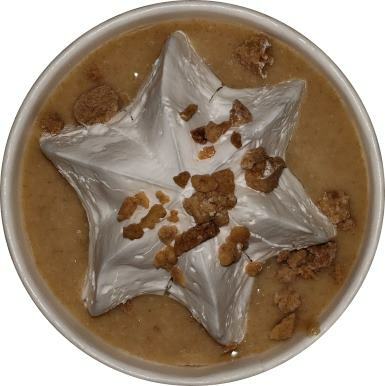 Fine I'll have some ice cream with my graham topping. Oh, cheesecake flavor on top, strawberry on the bottom. I got cheese on my first bite, strawberry on the second, but then the flavors just started blurring together. The wet sand texture of the graham is kind of distracting me. At least I am noticing the center layer of crunchies more this time. They aren't literally crunchy, they are just more solid than everything else. I'm going to be good and finish this for breakfast, so here is my parting thoughts. 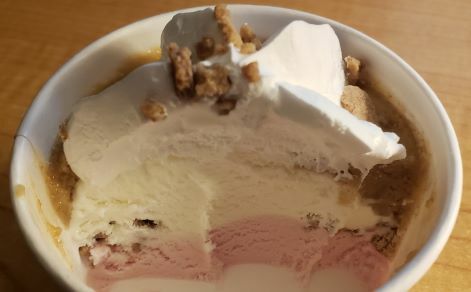 The funky graham topping is reason enough alone to try this funky treat. There's part of me that is tempted to just smoosh the second half together to create a nice uniform texture, but I probably won't. Maybe what I'm trying to say is that it doesn't remind me of ice cream cake, but I'm still have (imperfect) fun. On Second Scoop: Finished! Lots of graham. Does anything else matter? I absolutely love, love, love these. I have traveled 10+ miles to find these .Please let me know where I can purchase other than Walmart .